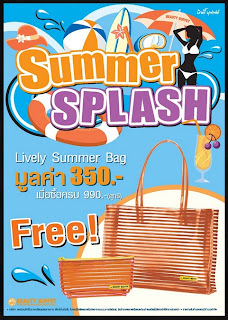 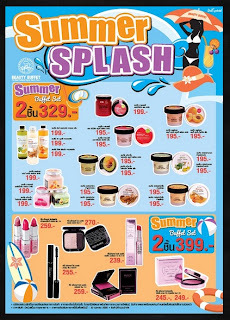 Beauty Buffet is having a Summer Splash sale with special offers of "Buffet Sets" and free handbag. 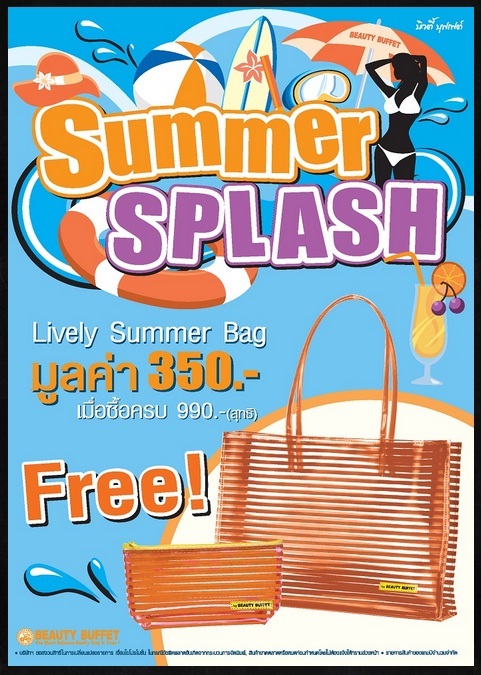 The Sets include the "2 pieces for 329 Baht" set and "2 pieces for 399 Baht" set on products as featured in the brochures below. 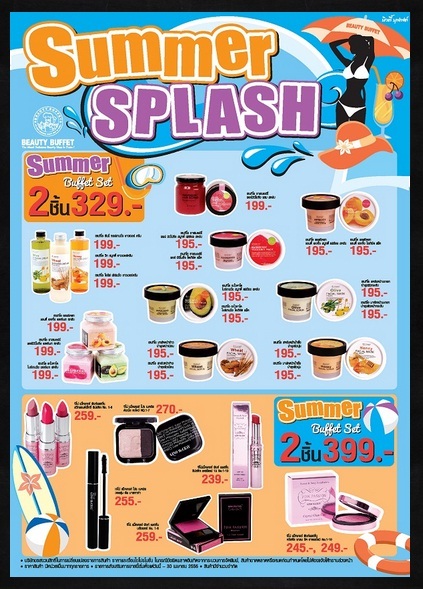 The 2 for 329 Baht sets include bath gels, body butters and more; while the 2 for 399 sets feature cosmetics like lipsticks, eye-shadows, and mascara.